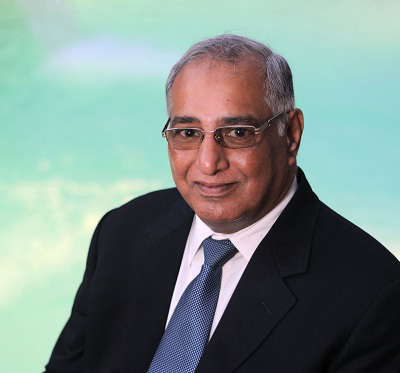 Param Kannampilly is the Chairman and Managing Director of Concept Hospitality. A true visionary, Param is a formidable environment champion, with over 35 years of active involvement in the hospitality industry. He has been associated with hotel groups such as the Taj Group of Hotels, Spencer International Hotels Ltd, Fariyas Group, Leela Hotels, Rahejas, and The Orchid Group of Hotels. In 1996, Param started his own hospitality management company - Concept Hospitality Private Limited. Today, Concept Hospitality's expertise ranges from setting up new hotels and consultancy, to managing and operating environmentally friendly hotel properties across the country. Param is also the driving force behind the phenomenal growth of The Fern Hotels and Resorts – a leading environmentally sensitive group of hotels. He currently manages 60 hotels, resorts, clubs and serviced apartments at 36 locations across India, Nepal and Seychelles - with an additional 35 properties at various stages of development. Param Kannampilly is a Fellow of The Institute of Hospitality (London), and a Fellow of the World Academy of Productivity Science. He is currently the Chairman of The Institute of Hospitality - Western Group India Chapter, and a Co-opted Member of the Executive Committee of FHRAI for 2018-19. The facility design of our hotels is sleek and increasingly international. Hotels are also finding ways to utilize their public spaces when they are vacant. Moving to cuisine, quality standards here keep improving - and since many of the guests have experienced authentic international cuisine, they expect the same in our hotels. 2. You have been associated with the Spencer Group, Leela Venture, the Rahel Group, the Orchid Group and Concept Hospitality – is there something you can relate to these relationships in terms of good customer focus? Hotel companies try their level best to retain old clientele - at the same time they invest time and resources to bring in new guests. The focus always remains the same - be it the companies I worked with earlier or the one I am working now. Being customer centric and maximizing “guest experience” is the prime objective and pursuit of every hotelier in the industry. (As they say, a happy client is your best advertisement.) Keeping customers happy also goes a long way in building and sustaining relationships with guests. While the brand ethos of each company is different, fundamentally all of them are in the same business - of building and growing a customer base and keeping people happy. 3. You have been on the Board of Governors at IHMCT, Mumbai – what was your vantage point view of the Indian Hospitality industry? All these catering colleges are doing a great job of creating a strong talent pool for the industry. Some of these institutions are excellent seats of learning and nurturing a promising set of future leaders. The students who graduate from these colleges find great opportunities, and work with the best brands worldwide. However there is a still a lot we can do in terms of achieving global standards. The catering colleges need to evolve their curriculum, upgrading to newer thinking, practices, and concepts being introduced from time to time. 4. You have also been Chairman of the Institute of Hospitality, London – Western India Chapter – how does the Indian industry fare, compared with service levels of the West? Today the service levels within the Indian hospitality industry are almost at par with global standards. And there are some very good reasons behind this. Indians travel worldwide and they are exposed to emerging standards in the world of hospitality – as a consequence, they expect the same standards when they get back home. More over, expat GMs who come to India on assignment, share their learnings and experience in their local work environments. (The Indian staff also imbibes the same service ethos.) Also if that expat GM introduces certain service standards, sooner or later all the other hotels end up following the same. 5. You have been an Executive Committee Member of FHRAI (Western Region) – what policy support does an organization such as FHRAI give to the industry at large? The FHRAI plays an important role in taking up various issues pertaining to the industry. It takes a stance for, or against any policy introduced by the state, or central government. For example when GST was introduced, the federation played an active role in providing feedback to the government on feasibility. Similarly during the recent confrontation with various travel portals, it acted to secure the rights of the hoteliers (especially small stand-alone hotels in Tier-2 and Tier-3 cities.) The federation acts as a watchdog and exerts pressure on the government as and when required. 6. Timeshare has come a long way in India – how do you view potential for growth and consolidation in the coming years? Timeshare has come a long way, and will definitely grow in time – in India, the growth phase has just started. Even in mature markets of the world, the timeshare industry is growing. I must add here that the “self-regulation” initiative of the timeshare industry by AIRDA has given the industry a fair measure of respect. RCI, the other big player in the timeshare industry has also tightened its rules to ensure that resort facilities are complete in all respects, before they are enrolled. 7. What are your views on mixed-use at hotels and timeshare resorts? The funds generated by timeshare sales primarily help a hotelier reduce his dependence on borrowed funds – and that’s a really big relief in terms of fund flow. There is another key benefit – mixed-use also brings in guests during lean occupancy periods and helps even out on inventory. According to me mixed use is the best way forward – it makes a lot of sense. 8. What in your view are the major impediments for the growth of Vacation Ownership / Timeshare industry in India? From what I can see, major impediments are something the players can tackle easily. One concern that stands out is a lack of publicity, and low awareness levels among current and potential owners – especially about the benefits of timeshare as a viable and attractive holiday platform. Another aspect that would help industry growth is a visible increase in the number of “ethical marketers” who can set an example and attract more customers - based on total transparency and ethical practices.